The second installation step of the database machine aka Exadata by Oracle ACS (Advanced Customer Support) is configuring the database and storage (‘cell’) nodes/servers. The blades are delivered with default IP addresses, during this step they are configured to the IP addresses which fit in our environment. Also the cellservers are configured (‘LUN’s are carved’) to have storage for ASM. The cellservers are configured with three diskgroups during a normal installation: DATA for data, RECO for the flash recovery area and a diskgroup for the clusterware (voting disks, cluster registry) called SYSTEMDG. A RAC database is configured too. 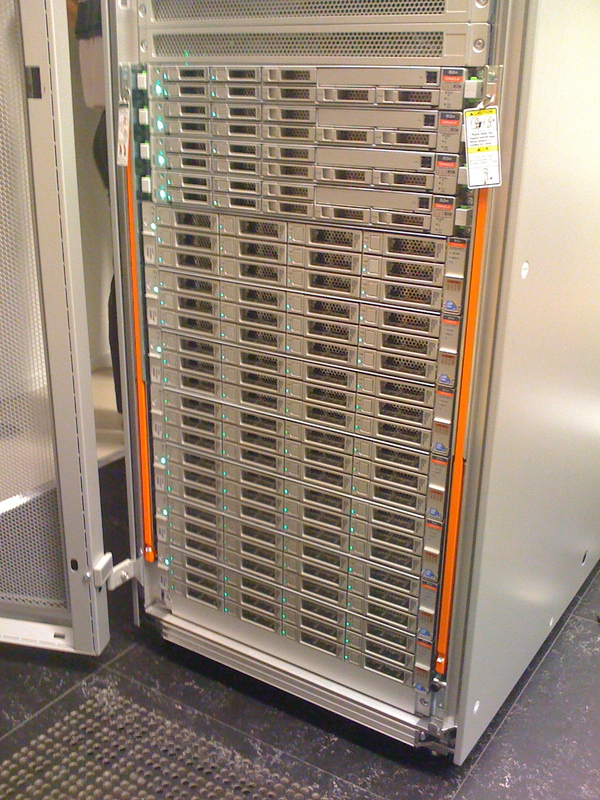 We have a half rack, which means 4 database nodes, so a 4 node RAC database is configured, called ‘dbm’. The database has no data in it, besides the data dictionary (obviously), and is using a ‘humble’ amount of memory (8GB on a 64GB machine). Now it’s up to me to automate the creation (and deletion) RAC databases, adding and deleting instances of the RAC database, modifying the storage (to be able to test both half rack and quarter rack configurations) and also some optimising/configuration, like enabling hugepages, add rlwrap etc. 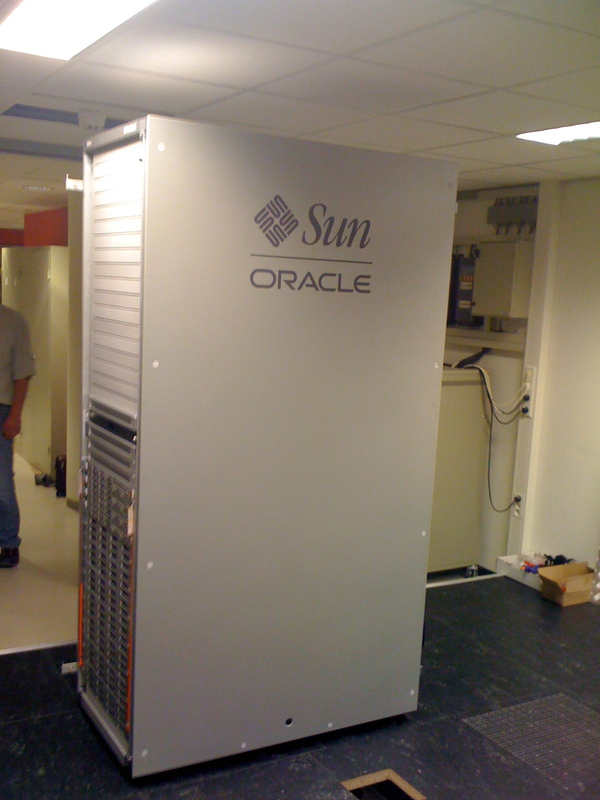 At the 5th of august, the database machine (half rack) has arrived at VX Company. 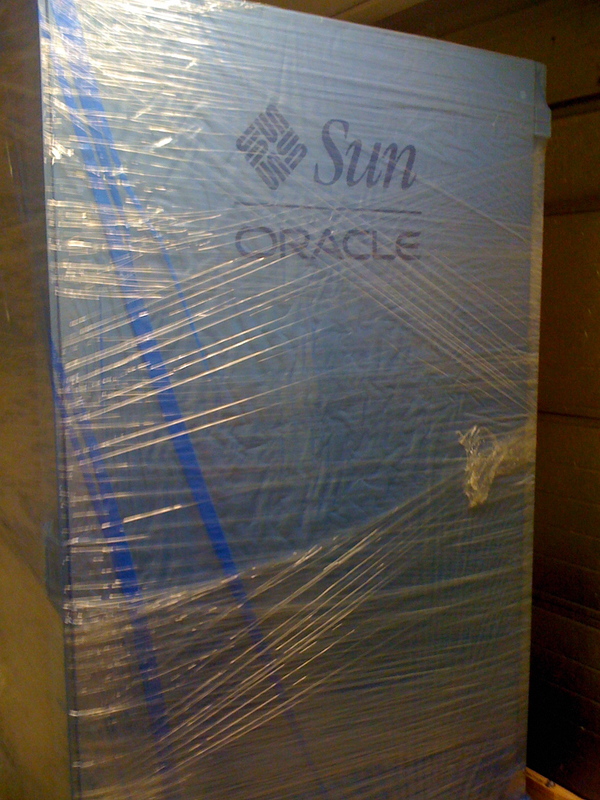 The machine arrives wrapped (in plastic) on a pallet. Because the whole rack is already assembled, which means all the parts are already in the rack, the machine is quite heavy (600 kilograms I’ve been told). After some pushing, pulling and lifting together, we arrived at our serverroom. Next is the hardware configuration and attaching the network cables from the database machine to our network. 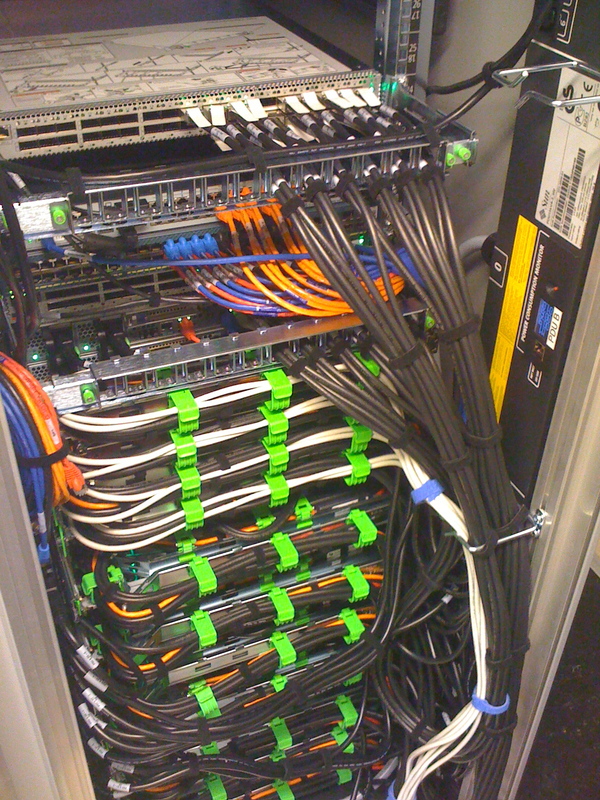 After the cables have been mounted and checked, the power is turned on, and all the database (4) and storage servers (7) are turned on! The 9th of august we carry on configuring the machine with Oracle ‘ACS’ (Advanced Customer Support), to configure the database and storage servers. Profiling the log writer and database writer version 2, including Oracle 12 specifics.